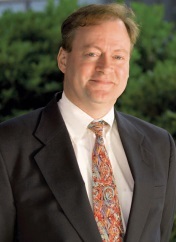 Tim graduated from Texas Tech University School of Law and has been licensed in Texas since 1982. He has been Board Certified in Civil Trial Law by the Texas Board of Legal Specialization since 1993. He is AV® rated, the highest rating by Martindale-Hubbell®. He is admitted to practice in all state and federal courts in Texas; the United States Court of Appeals for the Fifth Circuit and the Supreme Court of the United States of America. Initially Tim worked as an associate and partner in a law firm. Then, in 1996, he opened his own firm. He has tried 60 jury and non-jury cases, argued over 250 motions, taken or defended over 400 depositions, handled 35 federal and state appeals and successfully mediated or settled dozens of cases for his clients. Tim’s practice encompasses a wide variety of litigation issues. Tim can assist in civil issues such as contract and warranty disputes, insurance litigation, conspiracy, fraud, business torts and negligence, deceptive trade practices, residential construction defects, consumer litigation, breach of fiduciary duty, shareholder’s rights cases and real estate litigation. Tim’s practice is marked by hard work, strict organization, thorough client communications and unwavering focus.